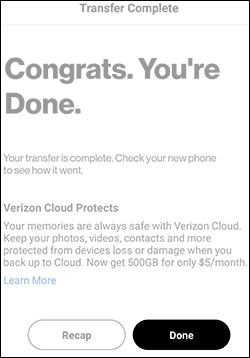 Any contacts or media backed up to any Cloud service (e.g., Verizon Cloud, iCloud®, Google Drive, etc.) 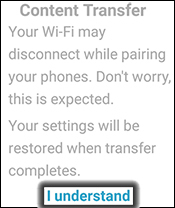 are not transferred by the Content Tranfer app and need to be restored to the device using the same service. 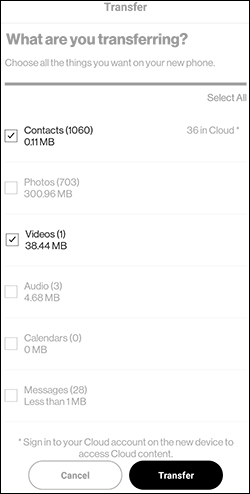 The Content Transfer app only transfers contacts, media, etc. 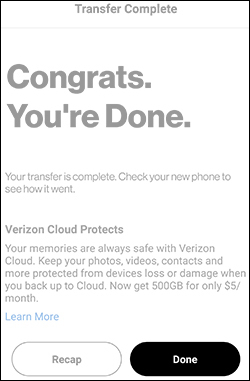 to the new device that haven't already been backed up to a cloud service. For a quick overview, watch this video. 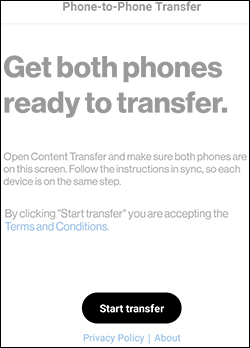 The Content Transfer app must be open on both devices at the same time. Ensure that screen resolution is at standard size to see all options. From the Old Device: The old phone contains the desired media files. To the New Device: The new phone is where media files are going to. 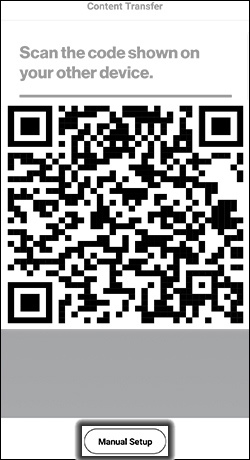 Transferring to or from an iPhone: Refer to Transfer Content - Content Transfer App - iPhone for further assistance. 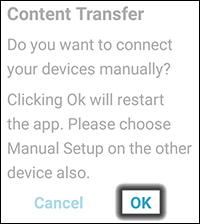 While in the Content Transfer app on both phones, tap Start Transfer. Tap This is my old phone then tap Next. If presented with a Wi-Fi disconnect screen, tap I Understand. 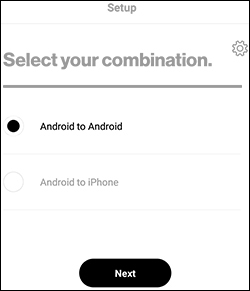 Tap an option then tap Next. 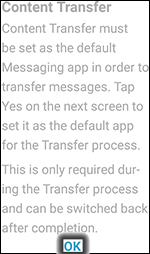 If prompted with a default messaging app screen, tap OK. 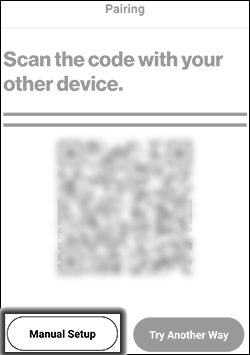 Using the old device, scan the QR code that is displayed on the new device. 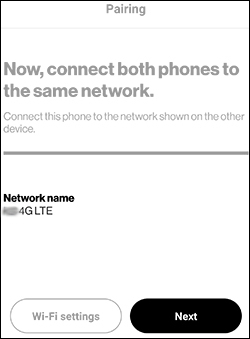 If a phone name doesn't appear or you're using an older phone connect via Wi-Fi. 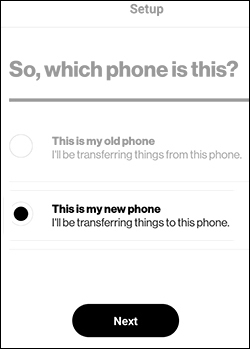 Select the desired media to transfer to the new phone then tap Transfer. When the transfer is finished, tap Done. For additional info on backing up or transferring media content, refer to Transfer Contacts & Other Content Between Devices. Tap This is my new phone then tap Next. If prompted with a default messaging screen, tap OK/Yes. 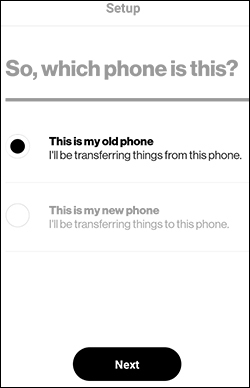 If prompted to change the messaging app, tap Yes. 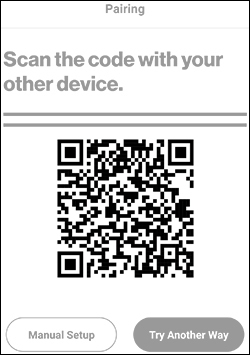 Place the old phone over the new phone to scan the QR code that is displayed on the new device. 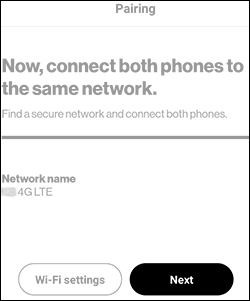 If presented with an invitation to connect to the old device, tap Accept/Connect. 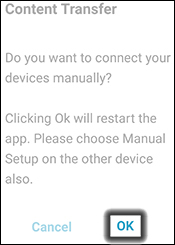 If prompted to connect the devices manually, tap OK. 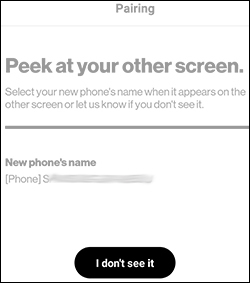 If prompted with a default messaging screen, tap OK. Tap I don't see my phone. 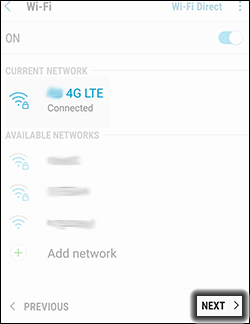 Select a Wi-Fi network, if prompted tap Connect,then tap Next. 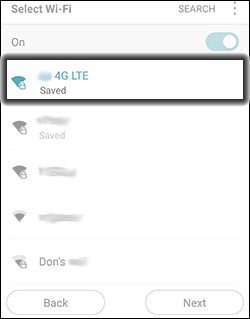 Verify the phones are on the same Wi-Fi network then tap Next. 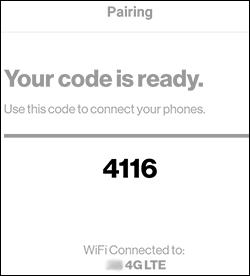 Enter the code displayed on the new device then tap Next. Tap I don't see my phone then tap Next. 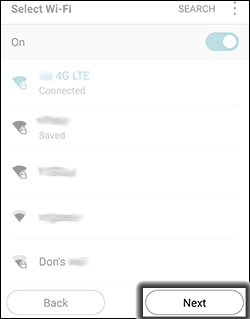 Tap the appropriate Wi-Fi network. 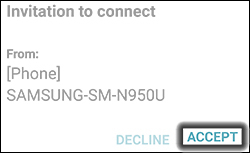 If prompted, enter the Wi-Fi network password then tap Join/Connect. 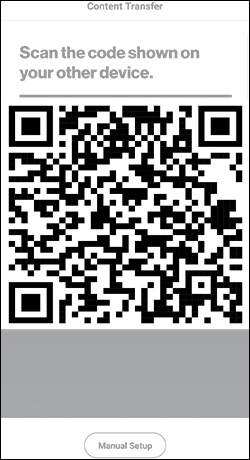 If using an iPhone, tap the back arrow to return to Content Transfer (located upper-left). 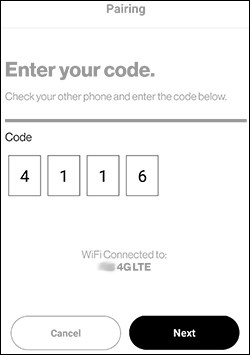 Enter the code from the new phone into the old phone. If prompted to change your default messaging app, tap OK.